The second Alumni Meet was held on 14 OCT, 2017. The Principal explained the significance of alumni reunion for the growth of the institution and the individuals. 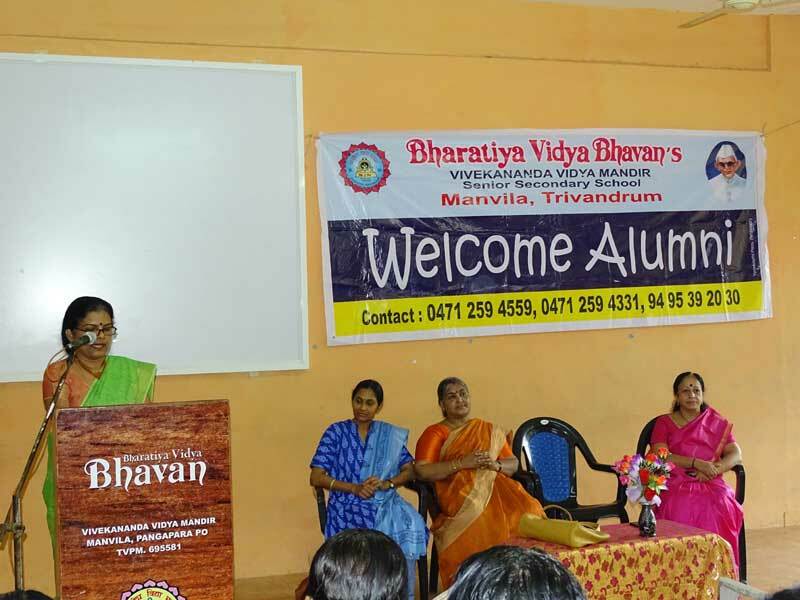 In response, few of the alumni shared their experience as well as interesting moments of school life life to the audience.Former teachers Mrs. Sreelekha, Mrs. Lakshmi and Mrs. Suni also shared their experiences as a faculty of Bhavans, Manvila. This was followed by a photo session and tea.